The Lake Macquarie Coastal & Wetlands Alliance was created with the specific objective of preserving a set of coastal ecosystems including wetlands on the eastern shores Australia, 150km (100 miles) north of Sydney. In the city of Lake Macquarie, the coastal region was under threat from proposals for development as an affluent residential suburb. As a result of a continuous nine-year campaign, the 510 hectares (1250 acres) of wetlands and coastal forest has now become the tenth State Park in New South Wales. This article tells the story of how our community group of volunteers was able to convince the State Government that the preservation of this area in its natural state was the best possible option. In Australia, the driest continent on the planet, the urgency to preserve water and water quality is unremitting and has shaped the continental topography since long before the era of human habitation. The local ecosystems have adapted to these conditions by producing a wide range of unique vegetation. In response to the increasing aridity, the dominant features of these plants is their ability to cope with low nutrient soils and to withstand drought and fire. In certain isolated areas, however, wetlands developed and became sustainable. Lake Macquarie is Australia’s largest salt lake and is capable of supporting the numerous wetland ecosystems around its perimeter including those on the coastal fringe. (6) provide an invaluable ecosystem for migratory birds. Indigenous inhabitants did very little damage to the environment of Australia. As nomadic hunter-gatherers, they lived well within sustainable use of their land. They commonly adopted the practices of controlled burning and fire-stick farming which naturally served to reseed local grasses, thereby attracting the fauna that they hunted. Following the creation of European settlements in Australia (beginning in 1788), the land and its original ecosystems have been severely damaged by the farming techniques practised by Europeans – typically involving total clearing of the land – the allocation of land to grazing herds such as sheep and cattle, and the commercial extraction of timber, limestone and coal. Great forests were destroyed in less than a century. The land could no longer support a subsistence culture and the Aboriginal groups that had once lived in the areas prized by Europeans were either displaced, lost their tribal coherence and a number of times were killed by settlers. The Lake Macquarie region was an early target for European expansion from Sydney. Not long after the discovery of coal, the Newcastle region was selected in 1801 as a secondary penal colony for the control and punishment of troublesome prisoners. The hard and dangerous labour required for the mining of coal provided an ideal and profitable method of corporal punishment. The first settlers discovered the forests of red cedar in the surrounding region, a timber highly valued and referred to as ‘red gold’ because of its ease of working, beautiful finish and resistance to the destructive attacks of termites. It did not take long for the cedar forests of the Newcastle and Lake Macquarie region to be permanently removed from the local environs. In the 1880s a coal-mining lease was granted for a coastal area between Redhead and Belmont (approximately 1250 acres) to the Redhead Coal Mining Co for the token sum of only £2 per acre. In 1923 the Broken Hill Proprietary Ltd (BHP) assumed the mining lease with the condition that the land would be returned to the state of New South Wales once mining was no longer commercially viable. However, in 1963 BHP was granted outright title to the land by the State for £54,255. Once coal mining became unprofitable, the company leased the land to other firms, first for sand mining to extract rutile and zircon, and then, when those minerals were exhausted, for quarrying of sand for the building industry. During the 1990s BHP attempted to have the site re-zoned for an up-market resort for Japanese tourists. When that did not elicit investors, residential re-zoning was sought and BHP began discussions for its sale to local developers as a site for an oceanfront community. In 2000 BHP began implementing a top-level corporate decision to terminate its major steel production facilities in Newcastle and, as part of that process, to divest itself of its four major properties in the Newcastle and Lake Macquarie region: two industrial sites (Kooragang Island and the steel works in Newcastle), open land at West Wallsend, and the coastal land at Belmont. When the major industrial site on Newcastle harbour was returned to the State, BHP gave the State net $75 million of which $10 million was for restoration of the land. In effect BHP was absolved from all responsibilities for rehabilitating the site including the removal of dangerous industrial waste. It was pointed out in the press at the time that the money was not nearly enough to cover the rehabilitation of the land or even remove the toxic contamination of lead, arsenic, organic hydrocarbons and heavy metal sludges that had been released. The land south of Redhead was included in this divestiture of BHP’s four sites, but some people feared that the coastal land might be sold to cover the costs of the rehabilitation of the steel works land. During this period of negotiation, the commercial extraction of sand continued until it was terminated by order of the Lake Macquarie City Council in 2004 following extensive campaigning and public protests organized by the Lake Macquarie Coastal & Wetlands Alliance: a sign that this seemingly innocuous group of local residents might actually be able to influence institutional decision-making. Throughout the period of BHP’s tenure (1963 to 2001), projects for the restoration of vegetation on the increasingly degraded land were initiated. Unfortunately the NSW government unwisely recommended the use of the South African bitou bush for erosion control as a fast-growing substitute for the much slower dune grass. This plant is now classified as a noxious weed in New South Wales. The species quickly took over from the native flora of the foreshore, adjacent dunes and bush to form a monoculture that is very labour intensive to eradicate. In recent years other incursions into the wetland areas have taken place. A site adjacent to a lagoon at the south end of the wetlands was filled in to provide flat land for the Belmont Golf Course, new sports grounds and some residential development. Some of these areas now experience flooding in times of heavy rain, apparently due to the filling in of the wetlands that had previously provided natural drainage. At the south end of the wetlands is a narrow strip of land (approximately 2 kilometres/1.4 miles wide) between the Pacific Ocean and Lake Macquarie. This land, the town of Belmont, is commercially attractive for up-market real estate development, and over the years a series of small projects have been approved which have encroached upon the wetlands system. It is now evident that this development is partly responsible for major siltation problems in the lake itself that have been an on-going concern and expense for both the City and the State Governments. Clearly any more development in the coastal area would exacerbate these problems. At present the wetlands area shows signs of significant damage which includes the levelling and erosion of much of the large coastal dune structure that once protected the land from the inevitable extreme weather conditions from the ocean. In addition to the ubiquitous bitou, other species of alien weeds have found a foothold where land clearing has occurred. In the water catchments of the wetlands, floating islands have been lost, with an associated decline in water quality. The area has also become a convenient site for the dumping of waste. In the early 1990s several local community groups (1) that had been working independently decided to coordinate their efforts by amalgamating to form the Jewells Action Group with the express purpose of protecting the coastal land from exploitation. Although this group was discouraged by the determination of BHP to proceed against community wishes, their work created a groundswell of public awareness that we were able to harness. In 1996 a group of concerned residents formed the Lake Macquarie Coastal & Wetlands Alliance (hereafter ‘the Alliance’) in response to a new announcement by BHP that it intended to apply to re-zone the land for the development of a new housing subdivision. The initial objective of the Alliance was to raise awareness in the community of the environmental significance – and the potential recreational value – of the BHP land and the irrevocable loss if this last parcel of undeveloped coastal land were to become one more up-market suburb. One of the Council planners responded by insisting that the land had to be developed precisely because it was the last bit of coastal land – its value as real estate was simply too great to be foregone. At a later date this same planner confided to one of the Alliance officers that it made little difference how much we protested, the land would be developed. A pleasing irony is that at the time of his retirement he had became one of our supporters. In spite of early attempts to discourage us, the Alliance went ahead with its original plan of action. Saturdays were spent in local shopping centres talking to people and asking them to sign petitions against the development. Many were completely unaware that BHP owned the beach as well as the mining areas and thereby had the right to refuse public access to over four kilometres of pristine beach. There is a tradition in Australia that no one is able to own the beach, that it is State owned and therefore public and accessible to everyone – which gave our message some added punch. Another source of sympathetic support came from the perception of people that the new suburb would almost certainly turn out to be an exclusive haven for the very rich. Whenever possible, the Alliance engaged with councillors in Lake Macquarie City Council, and the local Members of the State and Federal Parliaments. Because this is a strong Labor voting region they were mostly members of that party, but we worked hard to insure that we did not become identified with just the one political party. We also had to take great care not to offer any opportunity for our opposition, which had far greater access to the media than we did, to be able to dismiss us as simply ‘tree-hugging greenies’ or ‘ferals’ – the Australian slang for latter-day hippies who often live in rural environments and take an anti-capitalist stance as a matter of principle. Our influence on the local Council benefited from the fact that one of the councillors had been involved with the Jewells Action Group while at least one other councillor was supportive of the principles of the Alliance campaign from the beginning. Members of the Alliance availed themselves of every opportunity to speak at meetings at all levels of community concern – meetings of Council, local political meetings of all parties, and local Neighbourhood Watch. We presented papers at three State-wide Coastal Council Conferences. At the polling booths on election days we staffed tables and displayed our petitions and posters. Before elections we contacted all nominees to raise their awareness of the issues and to enlist their support. One of our members even ‘crashed’ the public meeting of the New South Wales Cabinet – held at Newcastle City Council in 1999 – and distributed our information packs to the new Ministers. A succession of submissions was sent to Lake Macquarie City Council, and our representatives were in attendance at the community planning consultations which the Council was sponsoring to discuss long term planning for the next 20 years (referred to as ‘Lifestyle 2020’). In the first Lifestyle 2020 plan, the BHP land was sketched in as a new urban development with more dwellings than presently exist in the town of Redhead or the other adjacent communities of Jewells and Belmont North. So it was clear that we were going to have a major battle on our hands. Fortunately, we had excellent resources to call upon to assist us. Newcastle University has a strong Environment Studies section in the Geography Department. We met with lecturers and students to plan designs for the land as viable alternatives to the BHP residential developments. In spite of having a sense of achieving some positive results from the above strategy of spreading the Alliance ideas as widely and as frequently as local opportunities allowed, it soon became obvious that what was really needed was some major event that would attract a broad cross-section of the local public. In February 1999 a big public meeting to discuss the future of the BHP land was held in at one of the local high schools central to the community whose beach access was being threatened. The traditional methods for advertizing the event were employed – many posters and brightly coloured bumper stickers (‘Save Belmont Wetlands’) and hundreds of posters, many displayed in the local shops and places of business around the area. But the big coup was an unexpected affirmative response from one of Australia’s iconic figures, Peter Garrett, who replied to our invitation by saying he would be available on the night of our event to speak on our behalf. There would be no appearance fee. Peter Garrett and his rock band Midnight Oil were number one in Australia for many years and often their tours were associated with important social issues. Upon retirement as a musician, he became very active in environmental issues – and at the time of our meeting was the CEO of the Australian Conservation Foundation, perhaps the most prestigious and well-regarded organization promoting environmental awareness in Australia. Peter Garrett’s presence was without doubt a major factor in the success of the public meeting. Over 500 people turned up. Undoubtedly many came just to see their Australian icon, but by the end of the evening, everyone had been moved and inspired by his passionate speech. In addition to the obvious message of the importance of maintaining the environment and its wildlife, Peter also struck home with the observation that the Commonwealth of Australia is for the common good not just for a privileged few and not just the affluent. Peter Garrett is now the Labor Government Minister for the Environment. At the end of the meeting a resolution was drafted and presented to almost unanimous approval. The Belmont meeting was the turning point in the Alliance campaign, but it was obvious that there were still many obstacles to overcome. A meeting was scheduled between the BHP planners and three of the officers of the Alliance. After the meeting the properties manager was quoted as saying, ‘I can deal with angry young men but three reasonable grannies was too much.’ Although the meeting outcomes were inconclusive, the Alliance’s determination was quite clear. After the meeting the Alliance sent the BHP Planning Department a letter confirming our understanding of what had transpired, and requesting that a subsequent meeting be scheduled. When dealing with corporate executives, it is essential that community groups establish their professional footing which can avoid the strong tendency of corporations to dismiss community representatives as irrelevant. In mid-1999 two of us were fortunate to attend a workshop run by the late Bill Moyer, social activist trainer who was visiting from the United States. His ‘Eight Stages of the Process of Social Movement Success’ became our guide that we consulted many times throughout the ensuing campaign. It provided us with a framework for organizing our actions – and on many occasions, offered encouragement when the achievement of our goals seemed to be beyond our limited resources. 2. Failure of Institutions – when research to support the social movement is required as a basis for its organization. 5. Powerlessness – a period of feeling that the social movement will be unable to succeed, usually because of strong counteractions by the opposition. 6. Majority Public Support – the momentum for the social movement builds and new ideas appear for alternative strategies. 7. Success – as the majority public support is too strong to ignore. Soon after the workshop, a young architect and town planner in our group designed a plan for walkways, bird- and whale-viewing platforms and an education centre. In November of 1999 we arranged, with the help of the local MP, to meet with the State Minister for the Environment to present our opposition to development and to present our alternative plan for a park with the potential for encouraging ecotourism. Slowly, or so it seemed, but surely, as it turned out, the Alliance gained more and more support through a continuing stream of Letters to the Editor in the regional newspaper. To keep the issues in the public eye while engaging an increasing segment of the public, the Alliance looked for ways to present its proposed program through media releases – and in more colourful ways such as outdoor rallies and marches that incorporated street theatre. In one such event we staged a ‘Reclaim the Beach’ rally with one man acting as a BHP official and two young men playing security guards on the beach at Redhead and a clown who led a crowd waving flags to tear down the orange traffic barriers and take over the beach for the community. A few months later we concluded a rally and march through the town of Belmont with an parade of flags and drums. Another time we offered a musical revue highlighted by two members wearing Comedia Arte masks singing the iconoclastic ‘Featuring the Necktie’ which was a notable hit with the audience. The lyrics seem so appropriate to our experience we have included them below. They’re privatising thing we own together. They’re flogging off the people’s common ground. They say that sharing thing is now unsound. They’re lonelifying all the public spaces. They’re rationalising swags and billabongs. They’re awfulising natures lovely places. Dismantling the dreaming and the songs. Makes them pine for all things hard and lean. And throbbing private sectors. It’s obscene. With demons lurking underneath their beds. To keep their hearts quite separate from their heads. So if they steal away the people’s treasure. As members of the Alliance we always did our best to have fun and make it a joyful and different experience for the people who came. And when people come to an event, the media is sure to follow, providing free advertizing for our cause. To involve young families we would put on a sausage sizzle while providing painting tables and materials for the children. To raise money to cover the never-ending stream of incidental expenses, we conducted raffles at every event with local supporters donating the prizes. We also hosted three fund-raising film nights at local cinemas. An artist in our group donated a painting of one of our local beachside lagoons. Perhaps it was a good omen that the raffle for the painting was won by the Mayor of Lake Macquarie. At another event at a shopping centre, Elvis (or local facsimile) sang ‘Don’t You Step on My Wetlands’, after which he led a bagpipe band on a march to the State Member’s office where signs were erected admonishing him to ‘Save the Wetlands’. In March 2000 a vote of the Lake Macquarie Council directed that the BHP land could not be built upon – our first major victory. It was a decision which we had fought hard to obtain over the years: the Council had repeatedly expressed reluctance to make that formal determination for fear that BHP could invoke the State zoning code and force the Council to acquire the land at ‘fair market value’, conservatively estimated to be around $6 million. At the end of 2000 the Alliance organized another public meeting – this time aiming for the politicians in the State Government. A federal politician who had been involved with our group for many years used the opportunity to challenge the local State representative to exhibit responsible leadership and get to work insuring that the wetlands were well and truly saved for future generations, out of the reach of commercial deals of political expedience. Another time the Alliance organized a walk through that part of the wetlands that had been planned to be – and has now become – a walking and cycling path (Fernleigh Track). During the walk there was a ‘weed detective’ competition conducted for the children. One member of the Alliance did extensive research to support a formal submission for the inclusion of the entire coastal wetlands system in the Directory of Important Wetlands of Australia. We have been informed that her submission was successful. By mid-2000, BHP had entered into a Memorandum of Understanding with the New South Wales government regarding the disposal of all their corporate land holdings in the Newcastle and adjacent regions, including the wetlands. We now turned the focus of our efforts and energy on the State Government. A second more detailed plan, this time designed by a landscape architect, also a member of the Alliance, was presented to the local branch of the State Planning Department. Based upon their response, a delegation was sent to the offices of the State Parliament to discuss the plan with NSW Premier’s Parliamentary Secretary and request that he present the plan for approval by the Parliament. At the time there was still pressure from some members of the government to adopt a plan that would insure the land would pay for itself in the future. Our position argued against any use of the land that would involve any activities not specifically associated with recreation and education. The Alliance plan proscribed any form of tourist accommodation or commercial businesses. Even as the signs were increasingly favourable and our doubts were replaced by hope, there remained the seemingly unrelenting pressure to keep the issue in the public eye as well as that of the politicians. Then in October 2001 Alliance representatives were invited to a major media release meeting in Newcastle during which the NSW Premier Bob Carr was to announce the contents of the final decision of the Memorandum of Understanding negotiated with BHP. With bated breath and hoping against hope that the decision would be relatively favourable, we were stunned and overjoyed to hear the Premier announce in quite precise and unmistakable language that the former BHP land – our wetlands – would not ever be developed. A community celebration was held and a framed photograph given to the Minister who had helped us. Again we had food available and the activities for children this time included a competition for recognizing wetland birds. A risk still remained that the actual process of gazetting the land could be delayed or deferred indefinitely within the political bureaucracy, in which case there was always the chance that the Premier’s best intentions might be overturned by an appeal to a future less favourable government. So we followed Bill Moyer’s 8th and final principle – we ‘continued the struggle’ taking every opportunity to publicize our plan and its benefits to the community – and making a point to attend every public meeting that Mr. Carr had in the Newcastle area to challenge him to honour his promise. It was not until almost four years later in August 2005 that two representatives of the Alliance were photographed together and became front page news in the local newspaper in its announcement that the wetlands once owned by BHP had been designated as the 10thState Park in New South Wales. Even so, it was still not until March 2006 that a Management Trust was finally set up under the auspices of the Lands Department for administration of the Belmont Wetlands State Park. And thus began the long process of converting a long-neglected and exploited tract of seacoast land to its potential value as a wildlife preserve and resource for recreation and education. The stated public purpose is for public recreation, coastal environmental protection, with tourist facilities and services. A Landcare group of volunteers is eager to start the rehabilitation process. At the time of writing this paper the situation has become increasingly positive. As of March 2008 a project officer was appointed by the Trust to oversee the land and stop the ‘traditional’ and informal (and now illegal) entry by four-wheel-drive vehicles seeking access to the ocean beach. The plan is to regulate access for people to the beach while insuring that the dunes will be protected. In addition, construction is underway for the completion of the Fernleigh Track for cycling and walking along the old rail line that ran just outside the western boundary. The work of the Alliance is now aimed towards gaining approval for the inclusion of some seventeen small wetland areas, stretching for fifteen kilometers from the Redhead Lagoon in the Awabakal Reserve at Dudley to Galgabba Point south of Swansea, to enhance the current Park and insure that their role as wildlife habitats, especially for migrating birds of many species, is not disturbed. It is certainly an auspicious sign that our program is fully supported by the Mayor and the Council of Lake Macquarie City. In fact the Alliance has been given a grant from Council to raise public awareness for the need to incorporate the wetlands into a park. Of course there is always the danger that the current situation for which we worked so hard could be eroded by development pressures. Since the decision by Premier Bob Carr in 2005, a new government with a new cast of Ministers has assumed power. There have been changes within the State Government Planning Department to the effect that the current Minister for Planning now has the authority to make decisions involving the use and zoning of all ‘state significant’ land. In the opinion of members of the Alliance, it is questionable that a State Park would be declared in the current climate. In such a situation the Alliance feels it still has a part to play, working to promote the positive transformation of the land – and to keep the public alert to potential dangers of the loss of significant undeveloped land. During our campaign we received considerable support from staff at the Hunter Wetlands Centre at Shortland, Newcastle. The centre is now located on what was once degraded land and is now an internationally recognized RAMSAR site. (5) With their help we are exploring this possibility for the Belmont Wetlands State Park site. The Hunter Bird Observers helped us to compile a list of birds in the wetland system and we presented a booklet of this list to the Council. Throughout the campaign we were assisted by a number of individuals and concerned groups who supported our work. A small number of people had to leave the group because employment demands meant that their work was in conflict with the aims of the Alliance. The limited positions for town planners or architects are often with firms that do not have the highest environmental visions. We also ran into a problem faced by many groups: a member whose motives for joining are not in keeping with the goals and who eventually show themselves to be using information from the group for purposes that are in direct conflict with the group’s aims. This is always a possibility with a public committee but has to be guarded against. We hope that our story will encourage people to act. We constantly remind ourselves that even it we had not succeeded, to have done nothing would have been worse than losing. We also have become a recognized ‘stake holder’ and a group with presence that is called upon for opinions on a variety of local issues. And as a result of this decade of working together we have formed real and lasting friendships – and found a great deal of fulfilment and joy in working together as community of like spirits. Moyer, Bill, Doing Democracy , 2001, British Columbia Arts Council, pp. 44-45. Thomas, Ian, Environmental Impact, Assessment in Australia. Theory and Practice , 2nd Ed., Sydney: The Federation Press. Marion Armstrong, Deputy Chair, is a graduate in Social Work from Sydney University and retired from life as a social work practitioner in 1995. This was the time that BHP sought to develop the environmentally significant site on the NSW east coast, known as the Belmont Wetlands. Marion took the opportunity now available, to engage with the community in the campaign to prevent the alienation of this site to housing. When I moved to Jewells in 1992, I joined one of the local environmental movements that led into membership of LMCWA, as I discovered that BHP planned to sell off its land adjoining my property for more housing. A reasonable compromise has resulted after much lobbying by the Alliance, with the establishment of on half of the land, a retirement village with some eco-friendly aspects. I’m now involved with the Alliance in negotiating to include the other portion of the land, that was gifted to the council, to be part of the proposed Lake Macquarie Coastal Wetlands Park. I joined Landcare to become a part of a team that rehabilitated the Belmont Lagoon foreshore. To support my colleagues and our causes in the Alliance I have accepted the role of secretary and have contributed some photos of the coastal wetlands on LMCWA’s website. Leslie Jacobi attended Goucher College in Baltimore and completed her BA at Coker College in Hartsville South Carolina. In 1969 she emigrated to Australia with her husband and three children and settled in Redhead. In 1996 it became common knowledge that the local council was considering a development application to develop the 510 hectares (1250 acres) of coastal dunes and wetlands adjacent to the beach south of Redhead to create a new community as large as the town of Redhead. She and a number of other concerned citizens organized the Lake Macquarie Coastal & Wetlands Alliance with the expressed object of stopping the development proposal and in the process to establish a rationale that would serve to protect several other similar coastal areas in region. At times the task appeared hopeless; but in 2005 their campaign proved successful and the land was declared a State Park. Norton Jacobi was born in 1933 in East Orange, N.J. and graduated from Princeton with a BA in History & Economics in 1955. Worked with IBM until 1964 when he moved to an academic position in the College of Business at the U. of South Carolina. In 1969 he joined the Economics Department of the University of Newcastle, Australia where he worked until retirement in 1993. His main research interests were in the problems in rural communities in developing countries and general philosophical analysis of the pseudo-scientific presumptions within modern economics. Since retirement time has been allocated to several writing projects with a primary focus upon the inadequacy of the economic theory of rationality and, most particularly, its supposed pragmatic application in economic rationalism. Norton has been an active supporter of a wide range of social issues including problems involving environmental degradation. He is a member of the Greens Party of New South Wales. Dianna Mannigel, member of the Board of the Belmont Wetlands State Park Trust, since it was established in 2006. After a childhood in rural NSW and a career in education in crowded Sydney, Lake Macquarie became the place for my retirement. I soon realised that this beautiful area was under threat from industrial damage and inappropriate urban expansion, for economic gain. But I also found a group of people aghast at proposals which would jeopardize things I had begun to appreciate: the coastal wetlands, native forest, dunes, animals, and birds. These were people taking action. So I joined the Alliance, helped to plan and joined in well-publicized marches, displays and large public meetings, aimed at keeping the public informed. I enjoyed the company of active, dedicated, realistic people, who were willing to learn more about the political, environmental, social and industrial issues, and to work hard together to achieve their goal. Don Owers, Chair: For me it was not one issue, instead it was the frustration of hearing the same rationale for development, ‘it’s only a small piece of land’ repeated over and over again. I came to realize that every development sets a new baseline so that further developments were still regarded as individual changes and not in their entirety. The unpleasant truth is that such growth will continue unabated unless there are enough people to take a stand. 2. Moyer, Bill, Doing Democracy, 2001, British Columbia Arts Council, pp 44-45. There was a time, so the tribal elders would recall aroung the camp fires, when Belmont (Bah-Ta-Bah) was all bush. Yellana was the moon, whose sacred spirit was a man named Pontoe-Boong. He travelled great distances all through the night over his vast domain, he went so far that at times his people on earth could only see part of him. But the sun, Punnal, was a woman whose shining glory was alwasys seen fully. She had only each day to sink deep into the earth to get fire an light. She defied wetness by rising each morning out of the sea. One night Pontoe-Boong looked downwards. He was sad and a little jealour of Punnal. He began to cry. Soon there was a small pool which grew bigger and bigger until it became a lagoon. Pontoe-Boong saw all this people gathered on the hillside, waiting, watching and wondering about this wonderful event of the sky. Pontoe=Boong came closer to earth and night became as day; the first moonlight. He saw his reflection in the water. Said he “I will be happy always now because my people can see me in the water, which will never dry up.” He arose in the heavens full of joy. At intervals, he would move down to earth, and then all the tribes would gather at the Lagoon to sing and dance in honour of Pontoe-Boong – the Creator of light that takes away the darkness of Night. 5. The Convention on Wetlands, signed in Ramsar, Iran, in 1971, is an intergovernmental treaty which provides the framework for national action and international cooperation for the conservation and wise use of wetlands and their resources. There are presently 158 Contracting Parties to the Convention, with 1718 wetland sites, totaling 159 million hectares, designated for inclusion in the Ramsar List of Wetlands of International Importance. 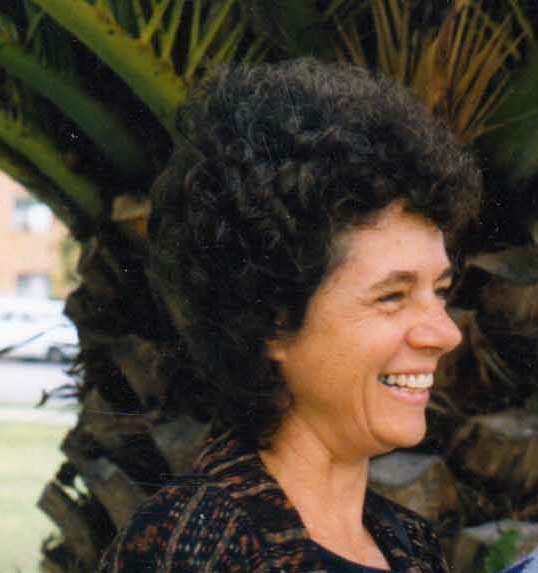 @ being a long time friend of LESLIE JACOBI (RIP – Redhead Village resident for 43 years) who played a leading part in the Lake Macquarie Coastal & Wetlands Alliance success, we found this background story of much interest and value.